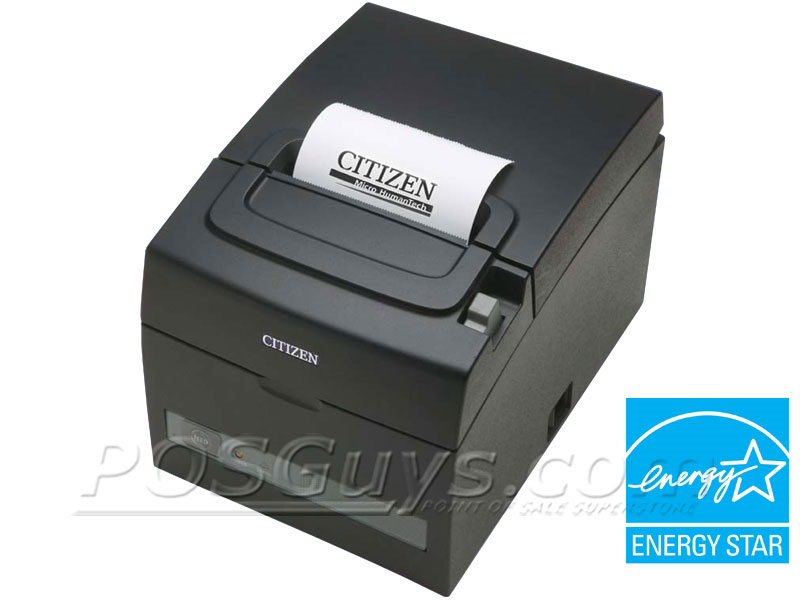 Save money on energy and media costs by investing in Citizen’s CT-S310II thermal receipt printer. This “green” pos printer strives to reduce its negative ecological impact during all stages of development, from carbon use during production, to recycled (and recyclable) packaging for the end user. Switching from traditional printers to the CT-S310II can lower power consumption by as much as 45%. The printer uses less energy than traditional receipt printers and while resting in standby mode features one of the lowest consumption amounts in its class. Spend less on receipt paper and print heads with the Save Paper and Long Life Print functions. You can cut receipt paper use by up to 20% while operating the CT-S310II in Save Paper mode and extend the life of the print head from 150 to 200 km by utilizing the Long Life Print mode. Take advantage of the CT-S310II ‘s eco-friendly benefits without sacrificing functionality. The pos printer sports standard USB and Serial interfaces, a built in power supply, and a top printing speed of 160 mm per second. 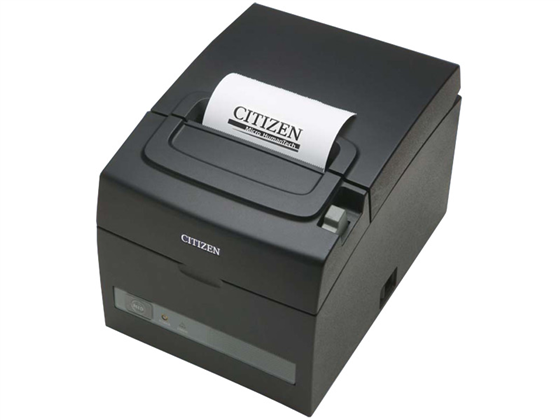 These features coupled with Citizen’s 3 year manufacturer warranty make this printer a reliable addition to any enterprise. Data / Logo Storage 384 Kb - Capable of storing user-defined logos and characters. The CT-S310II is a fabulous step towards an environmentally friendly POS industry and should satisfy most receipt printing requirements. It is priced very close to traditional printers and as such, is a most affordable green POS printer. It must be noted that the CT-S310II is average where speed is concerned but 6.3 inches per second is quite sufficient in most cases. Find it faster! Click here to compare CT-S310II models by feature.